Teaching stranger safety to your children needs to begin when they are preschoolers and continue through their teenage years. As parents, you want to keep your children safe from harm. Teaching preschoolers about stranger safety needs to be done in a way that makes them aware and wary of strangers without making them overly fearful of every stranger they see. However, in recent years the terms stranger safety and stranger danger have come under criticism by some experts in the field of child safety. They believe that a young child does not fully understand the meaning of the word stranger, that it is too vague. Safe Side Adults which are people that the child trusts and knows very well such as parents, grandparents or a special teacher. Grown-ups should not ask children for help. They should ask other grown-ups. Do not go with someone asking for help even if they say they lost their puppy. If a stranger gets too close to you, backup or run for help. If a stranger grabs you, kick, yell and scream. The Internet offers many websites that provide coloring sheets, games and puzzles to reinforce the rules of stranger safety. Teaching your children about stranger safety needs to be an ongoing process as they get older. Older children and young teenagers need to be reminded of the possible dangers of dealing with strangers both in person and online. Teach your child to practice safety in numbers when they are out in public. Make it a practice to have your child tell you, or another responsible adult, where they are going to be when they go out. 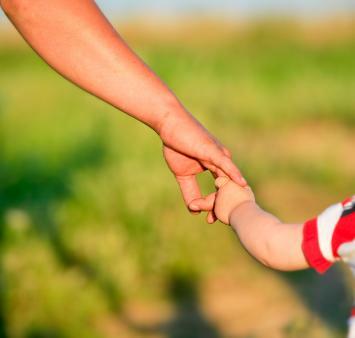 Teach your child to walk away from any situation or person that makes them feel threatened or uncomfortable in any way. Monitor the websites your child visits when surfing the Internet. Explain to them it is not an invasion of their privacy, is a way to keep them safe. Keeping the lines of communication and conversation open with your children is very important. Always take the time to really listen to what they have to say.